Graven Hill is the largest self build site in the UK. Their vision is to build 1900 new homes over 10 years. 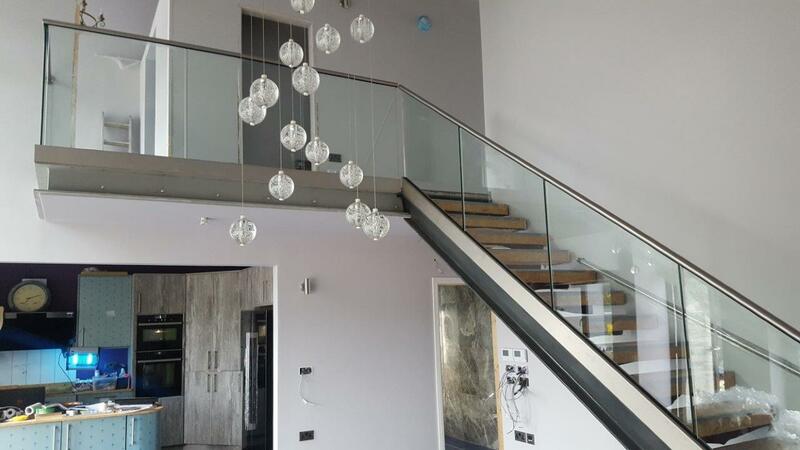 Our client was one of the pioneer self builders on the Graven Hill Development. Our client came to us looking for an energy efficient warm roof system for his new home. As this was a self build, the roofing system would need to be easy and quick to install. The roof for this project was designed to be mono-pitched, with the gables skewed at a 15 degree angle to the house. Thermohouse provided this self-builder with easy to install, passive standard ThermoRoof panels. 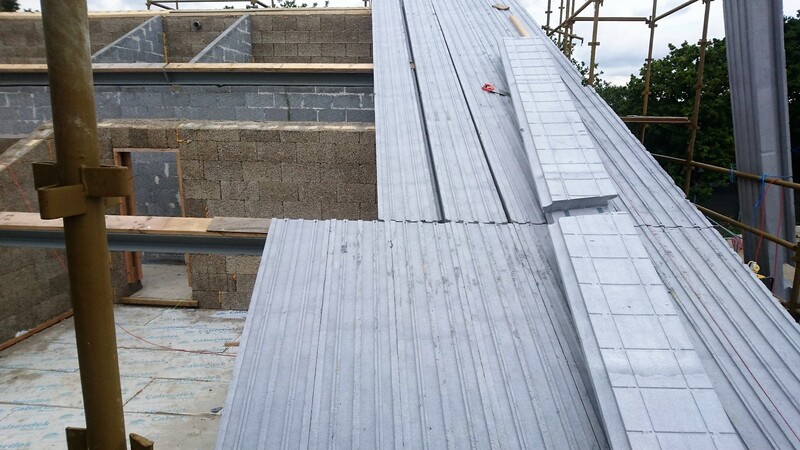 The tongue and grove joints on the lateral edges on each of the roof panels enables the panels to slot in with one another providing an airtight roof covering. 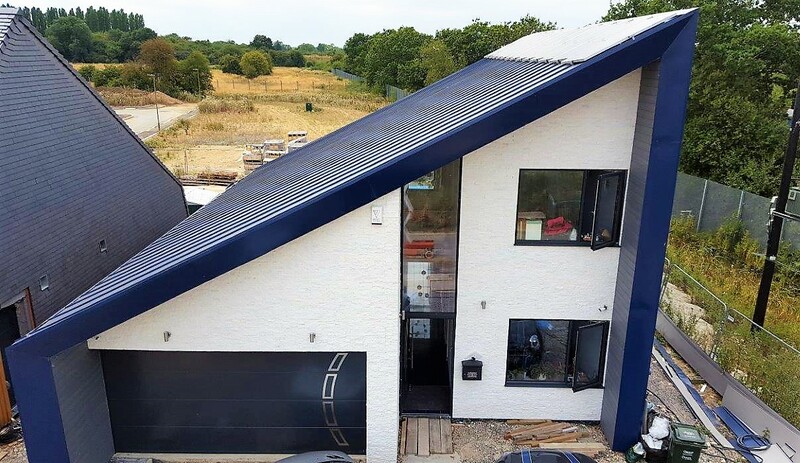 The technical team created a roof panel layout based on the client’s existing plans as well as providing onsite assistance throughout the installation. 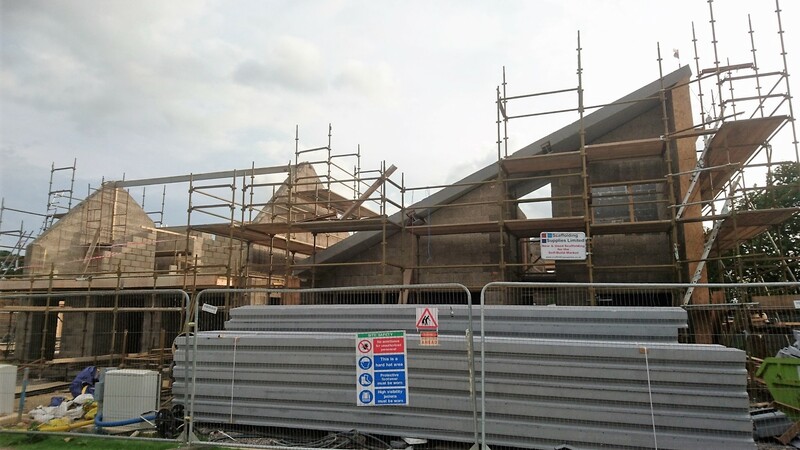 The EPS roof panels were cut on site to suit the pitch and manually lifted onto the gables. The panels were interlocked along their lateral joints and fixed on to the timber wall plates below. 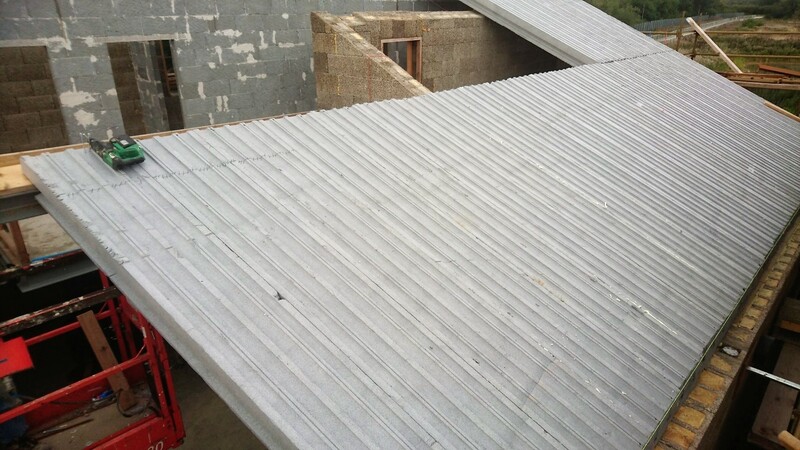 Although this was not a standard roof design, the entire roof was installed in only 3 days! Graven Hill is a self-built community located just outside Bicester. 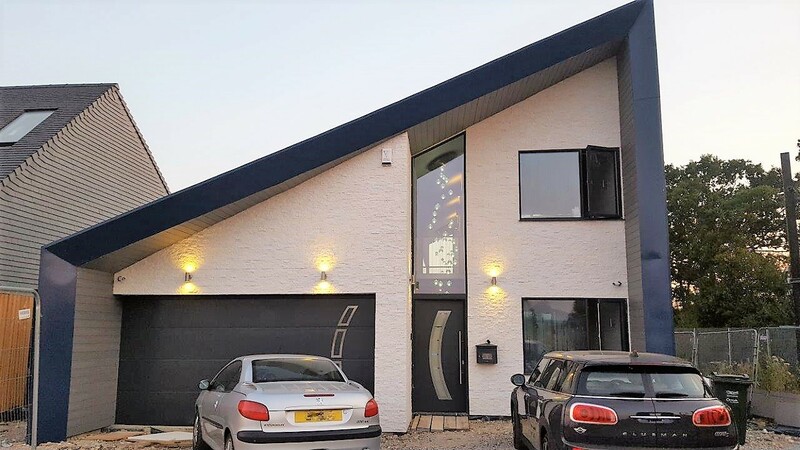 It is the UK’s boldest experiment ever in self-build and custom build, enabling individuals to design inspiring homes on pre-prepared plots, limited only by their imagination and their budget. We chose the Thermoroof panels from Thermohouse because they fit well with our mantra of fabric first and our desire to achieve a complete thermal envelope around the structure of the house. The team at Thermohouse proved helpful in optimising the design in order facilitate easier assembly on site. The product arrived on site on time and we were amazed how quickly the roof structure was assembled into place. Several of our neighbours and their contractors had not seen this product before and couldn’t believe how quickly and economically we achieved a water and airtight roof with a very low insulation U value. We are now reaping the benefits of a very quiet and warm home and are looking forward to low heating bills for the future. We would like to thank the team at Thermohouse for all their help.